As Every Day Counts round five (EDC-5) kicks off in January, deployment teams are ready to provide technical assistance, resources, and training to help transportation agencies adopt 10 proven innovations that will benefit drivers, construction workers, and taxpayers. About 1,300 transportation stakeholders attended five regional summits in fall 2018 to learn about the EDC-5 innovations and share best practices. The summits started the process for State Transportation Innovation Councils (STICs) to review the innovations, choose those that fit their State and local agency needs, and develop plans to put the innovations into practice over the next 2 years. Virtual public involvement techniques include project visualizations that help communicate spatial and geographic context. 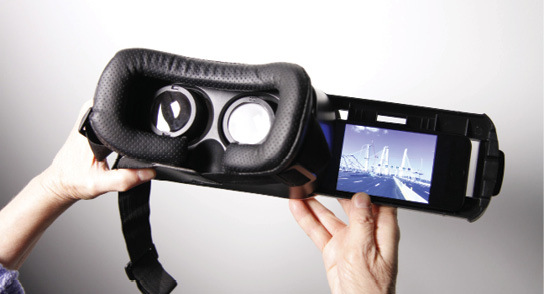 Virtual reality goggles allow the public to easily experience a video on their own smartphone as a 3D project simulation to better understand a project’s goals. The EDC-5 roster includes safety-focused initiatives to reduce pedestrian fatalities and rural roadway departures, innovations such as advanced geotechnical exploration methods and hydraulic modeling tools to improve project delivery, and techniques such as project bundling to repair roads and bridges more cost-effectively. In the first four rounds of EDC, 28 States adopted 30 or more of the 43 innovations promoted. Many EDC innovations are now standard practice across the country. “That’s something worth celebrating,” Hendrickson said. In October 2018, the Coplay Bridge in Allentown, PA was the first U.S. showcase of Electrically Isolated Tendons, a new non-destructive evaluation technology that provides bridge owners with the highest level of corrosion protection and long-term monitoring on the PT tendon. Many transportation agencies, including FHWA, explored innovation for years before EDC was introduced, but EDC helps reinforce that culture, Furst said. The result is that EDC, other innovation-focused programs, and a culture of innovation continue to expand. An example is the new Accelerated Market Readiness (AMR) program, which is designed to bridge the gap between research and practice, Furst said. AMR will provide resources for deploying and evaluating innovations that are ready for field testing. The AASHTO Innovation Initiative will help FHWA evaluate innovations proposed for AMR projects. Furst also announced the Education Connection, a program to develop materials on EDC innovations that can be used to educate future transportation practitioners. “It introduces students to changes taking place in a field of study they are pursuing, demonstrating that the field is dynamic and forward thinking,” he said. Watch the EDC-5 Destination Innovation video. See the EDC-5 innovations web page for information and resources. Watch introductory webinars on the 10 EDC-5 innovations. Contact EDC-5 deployment teams for information, technical assistance, and training. Click on the Center for Accelerating Innovation subscription link to receive information on webinars, peer exchanges, and other resources on specific EDC-5 innovations. Get innovation deployment assistance and incentives through the STIC Incentive and Accelerated Innovation Deployment Demonstration programs. How do transportation agencies cultivate innovation? At the Every Day Counts (EDC) summits, agency leaders took part in panel discussions on empowering their staff, leveraging expertise, and sharing innovation successes. “When we talk about innovation deployment, I define success as creating an environment where everybody who works at the department feels empowered to bring forward ideas and suggestions on how to do business differently,” said Victoria Sheehan, New Hampshire Department of Transportation commissioner. How do you empower your staff to succeed? How do you leverage expertise in the transportation community? The Massachusetts Department of Transportation collaborates with the private sector on deploying innovations such as e-Construction. Patty Leavenworth, chief engineer and deputy administrator, described an example in which a consulting community member suggested a workflow collaboration tool to the agency. “It benefits industry, but it benefits us as well, so willingness to step outside of our roles and form those partnerships goes a long way,” she said. How do you share innovation successes? The Vermont Agency of Transportation holds an annual Innovation Day at which teams share their work on research topics and innovative projects with colleagues. “It’s really interesting to see bridge designers talking to somebody who’s leading research on winter maintenance. It reminds everybody that innovation is happening all over the organization,” said Chief Engineer Wayne Symonds. The New York State Department of Transportation participates in TRANSCOM, a coalition of 16 agencies in the New York–New Jersey–Connecticut region that collaborate on transportation management. Todd Westhuis, the department’s chief of staff, cited “the innovation that comes with that and the collective advancement of technology, techniques, and approaches to problem solving,” as benefits of coalition membership. Advanced geotechnical exploration methods generate more accurate geotechnical characterizations that improve design and construction, leading to shorter project delivery times and reducing the risks associated with limited data on subsurface site conditions. 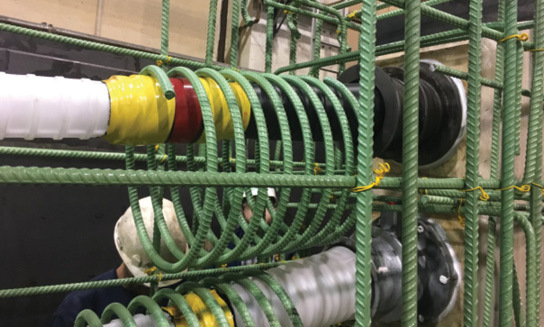 Tools in the collaborative hydraulics: advancing to the next generation of engineering initiative improve understanding of complex interactions between waterways and transportation assets, enabling better design and project delivery and enhanced communication. Using project bundling to award a single contract for several similar preservation, rehabilitation, or replacement projects helps agencies streamline design and construction, cut costs, and decrease project backlogs. Systemic application of proven countermeasures to reduce rural roadway departures helps keep vehicles in their travel lanes, lower the potential for crashes, and lessen the severity of crashes that do occur. As pedestrian safety continues to be a concern, the cost-effective countermeasures in the safe transportation for every pedestrian initiative can help reduce pedestrian fatalities at uncontrolled and signalized crossing locations. Unmanned aerial systems collect high-quality data automatically or remotely, allowing agencies to expedite the data collection needed for better decision making while reducing the adverse impacts of temporary work zones on workers and travelers. Using crowdsourcing to advance operations turns transportation system users into real-time sensors on system performance, providing low-cost, high-quality data on traffic operations, conditions, and patterns. Strategies promoted in the value capture: capitalizing on the value created by transportation initiative enable agencies to share in a portion of increased land values resulting from public transportation investments to build, maintain, or reinvest in the transportation system. Virtual public involvement techniques offer convenient, efficient, and low-cost methods for informing the public, encouraging participation, and receiving input on transportation planning and project development. Weather-responsive management strategies support agencies in deploying improved traffic control and traveler information systems that can reduce crashes and delays resulting from adverse weather. 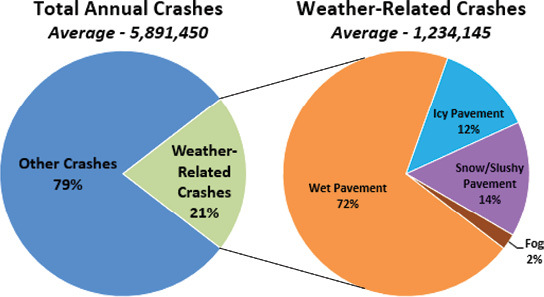 Adverse weather conditions are a factor in one out of five crashes on U.S. roads. Each year, nearly 6,000 people are killed and more than 445,000 are injured in weather-related crashes. Inclement weather also contributes to traffic delays, freight costs, and environmental impacts from road salt use. In Every Day Counts round five (EDC-5), the Federal Highway Administration is encouraging State and local transportation agencies to adopt weather-responsive management strategies to increase the effectiveness of traffic operations and maintenance when the weather turns bad. The initiative focuses on maximizing the use of mobile and connected-vehicle data about road weather to support operations and maintenance decisions. “The EDC-5 initiative builds on what we achieved in EDC round four in the weather-savvy roads initiative by looking at how to make better use of data and do a more effective job of managing the highway system under adverse weather conditions,” said Paul Pisano, an EDC-5 team leader and head of FHWA’s Road Weather and Work Zone Management Team. The initiative promotes two types of weather-responsive approaches. Traffic management strategies such as motorist advisory systems, signal timing, and variable speed limits can help agencies improve safety and keep traffic and freight moving. Maintenance management strategies such as plowing, debris removal, and water drainage maintenance also enhance safety and mobility, while anti-icing and deicing techniques can reduce the cost and negative environmental effects of chemical use. 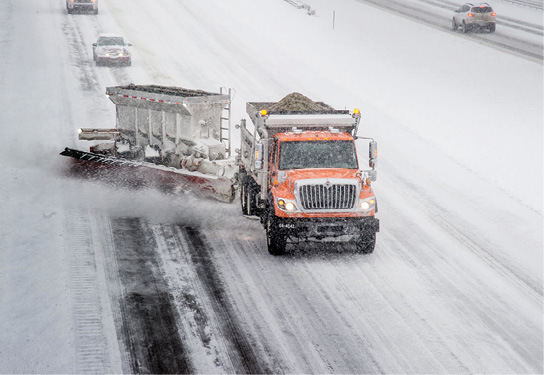 One agency using weather-responsive management strategies is the Michigan Department of Transportation (MDOT), an early adopter of integrating mobile operations (IMO) technology to collect data using agency fleet vehicles. MDOT’s Weather-Responsive Traveler Information System (Wx-TINFO) brings together environmental and weather-related data from fixed and IMO sources. The data are used for purposes such as motorist advisories and warnings on roadside dynamic message signs and the Mi Drive traveler information website, which has features such as images from snowplow cameras so travelers can track where they are. “We’ve had a lot of good feedback from the public on that,” said Steve Cook, MDOT operations and maintenance engineer. By providing the traveling public with timely information, Wx-TINFO increases awareness of the safest trip alternatives and helps motorists make better decisions during inclement weather conditions, Cook said. “It also provides the ability to utilize an alert system to advise maintenance staff of necessary winter maintenance locations, including unsafe pavement and roadway conditions, and enhances response times,” he said. The city of West Des Moines, IA, is among the local agencies that invest in technologies for more effective traffic and maintenance management. “We can’t grow our infrastructure fast enough to keep up with the growth of traffic on our roadways, so we’ve had to turn to other methods and a lot of that is technology,” said Brett Hodne, the city’s public services director. West Des Moines uses road weather sensors to collect data such as road friction, pavement and air temperatures, and snow and ice depth, as well as cameras to record road conditions. That enables the city to monitor road conditions and adjust traffic signals based on traffic incidents or slowdowns. “Having the ability to monitor and adjust on the fly has been big,” Hodne said. Hodne cited automated vehicle location (AVL) technology as “a huge step in deicer chemical management for West Des Moines.” Tying the city’s AVL system into its plows and spreader controllers allowed the city to capture the amount of material spread in real time and develop strategies to help operators apply chemicals more efficiently. This led to a 30 percent reduction in deicer chemical use while maintaining the same level of service on roads. “AVL has been a tremendous tool for us to manage our salt strategy,” Hodne said. Watch the orientation webinar on weather-responsive management strategies. See FHWA’s Road Weather Management web page for best practices, publications, and training. Contact Roemer Alfelor of the FHWA Office of Operations for information and technical assistance. ATSPMs modernize traffic signal management by providing high-resolution data to actively manage performance and improve safety and customer service. How is our traffic signal program performing? In about two-thirds of States, transportation agencies are demonstrating and assessing or have institutionalized automated traffic signal performance measures (ATSPMs) that can answer that question. Before ATSPM was promoted in Every Day Counts round four (EDC-4), fewer than a dozen States tried the innovation, a suite of performance measures, data collection, and analysis tools to support performance-based approaches to signal operations, maintenance, and design. Through workshops, webinars, and technical assistance, the EDC-4 deployment team expanded ATSPM use to more than 30 States. Transportation professionals are interested in ATSPMs because they transform signal maintenance and operations activities from reactive to proactive. ATSPMs can help agencies improve the safety, mobility, and efficiency of signalized intersections while cutting costs. A key to the initiative’s success was availability of open-source ATSPM software developed by the Utah Department of Transportation (UDOT) that provided a framework for continued innovation by public agencies and private industry. Another catalyst was a Transportation Pooled Fund study, “Traffic Signal Systems Operations and Management,” led by the Indiana Department of Transportation. During EDC-4, the market diversified from the open-source option and a couple of commercial products to a range of software and traffic signal control systems that can be purchased as turnkey options. “There’s a solution to fit any size municipality or agency,” said Curtis. Another tool the EDC-4 team used to increase ATSPM adoption was workshops tailored to each State. At 20 sessions over the 2-year EDC-4 cycle, the team provided details on the technology, outlined open-source and private-sector options, and brought in peers from other States to discuss their deployment efforts. At a 2017 workshop for the Louisiana Department of Transportation and Development (DOTD), the team also helped lay groundwork for ATSPM demonstration projects in five districts. By the workshop’s end, participants developed operational objectives and performance measures for corridors in their districts that they used later to scope ATSPM projects. Maricopa County, AZ, is among the local entities using ATSPM to modernize signal management. Maricopa County is a leader in the AZTech Regional Partnership, which implemented ATSPM in the Phoenix metropolitan area using the county’s ATSPM server. The regional program started in 2016 with 70 signalized intersections—10 signals per jurisdiction. Today, the system integrates 273 signals equipped with high-resolution controllers. “All the agencies involved are impressed that when a citizen complaint arrives how quickly and easily this tool can help identify the severity of a traffic signal issue and narrow into its root cause,” said April Wire, project manager for the Maricopa County Department of Transportation. ATSPM is institutionalized in Utah, where UDOT collects ATSPMs at 96 percent of its 1,233 traffic signals and partner agencies have connected 70 percent of their 852 signals and report data through the same centralized operation. “Signal performance measures have enabled the State to do more with less, focus our resources on the areas of most need, and more effectively prioritize resources and workload,” said UDOT Traffic Signal Operations Engineer Mark Taylor. ATSPM enables UDOT to proactively manage signal timing and quickly identify maintenance issues that affect traffic flow. The system’s data visualization tools can be used to evaluate traffic progression along corridors and identify green-light time for allocation to other intersection movements. System reports of vehicle delay, volumes, and speeds can be used to determine the effectiveness of signal timing adjustments. The Georgia Department of Transportation (GDOT) uses ATSPM as a primary tool to improve operations and manage maintenance. GDOT traffic engineers use data visualizations from the ATSPM system to answer questions such as whether a signal retiming project is producing benefits. GDOT also uses ATSPM data when developing alternate routing plans for events and emergencies. “With the introduction of ATSPM, we have a snapshot of the health of our entire system and the ability to quickly diagnose and focus resources across the whole system,” said GDOT Assistant State Traffic Engineer Alan Davis. See ATSPM case studies and additional resources on the FHWA Traffic Signal Performance Measures web page. Contact Eddie Curtis of the FHWA Resource Center for information and technical assistance. Using the MSAR app helped the Texas Department of Transportation obtain approval for Federal recovery funds faster after Hurricane Harvey. When testing began for the Mobile Solution for Assessment and Reporting (MSAR) software application, no one imagined the real-world conditions that would challenge MSAR or how important it would be in speeding recovery efforts after some of the largest natural disasters in U.S. history. In 2014, the Federal Highway Administration’s Federal Lands Highway (FLH) and Center for Accelerating Innovation pooled their resources to develop a better way of doing damage assessment and collection. Before the MSAR app, disaster damage assessment was completed on paper forms, data were manually entered into spreadsheets, pictures and maps were scanned and uploaded, and hard copy damage assessment reports were routed for approval. In developing the app, FHWA’s experts were guided by key considerations to ensure success: The app had to be user-friendly and intuitive, be reliable in the field, and work on multiple smart phone and tablet platforms. Other priorities included an in-app camera, geolocation capabilities, an architecture that supports workflow requirements of FHWA Emergency Relief programs to fund disaster-related repairs, and cloud-based data storage and management. Moving from paper to a digital solution would enable the transportation community to increase data integrity, improve oversight, and reduce disaster management response time. The Texas Department of Transportation (TxDOT), Harris County, and city of Houston were the first MSAR pilot participants in 2016. When the app was used during smaller-scale floods and a tornado, the benefits were immediate. TxDOT, cities, and counties could now see the status of their Detailed Damage Inspection Reports (DDIRs) to support Emergency Relief funding requests and if additional documentation or revisions were needed. Some States previously hired consultants to bundle disaster documentation as one package. MSAR allowed field inspectors to manage submissions, enabling agencies to use existing staff with a minimal upfront cost for the MSAR license. Training on the app took less than 90 minutes. Processing times were reduced by 97 percent. FHWA approvals came within hours instead of months. After Hurricane Maria devastated Puerto Rico in 2017, damage surveys were conducted for 1,300 sites within 3 weeks with MSAR, compared to paper surveys that took a year after Hurricane Katrina in 2005. 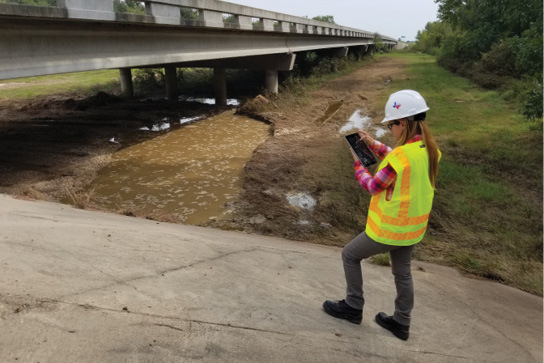 When TxDOT used the app after Hurricane Harvey in 2017, over 500 sites were approved for Federal recovery funds within 7 months instead of up to 2 years for prior paper-based processes. Reducing the clerical work and time needed to create reports saved the agency about $1.3 million. To learn how your agency can use MSAR, contact Sergio Mayorga of FLH. The California Department of Transportation (Caltrans) used State Transportation Innovation Council Incentive funds to conduct training to address the “first mile/last mile” (FLM) challenge of getting travelers between transit system hubs and their destinations. Caltrans collaborated with the Los Angeles County Metropolitan Transportation Authority, Southern California Association of Governments (SCAG), and Federal Highway Administration to help agencies create FLM connections. The training focused on planning an FLM improvement program and deploying pedestrian safety countermeasures. View the April 10, 2018, “Innovations in FLM Planning and Design” webinar on the SCAG website. The Delaware Department of Transportation (DelDOT) showcased employee creativity at its second Innovation Fair in 2018. After voting on the top ideas, DelDOT leaders awarded the Secretary’s Award to the Safe Selfie Zone. Created by a Division of Motor Vehicles (DMV) employee, the zones feature a colorful backdrop where new drivers can snap selfies as an alternative to photographing their driver’s license and keep their license number and address secure. News media reported on the idea and DMVs in other States now plan to implement safe selfie zones. The Pennsylvania Department of Transportation (PennDOT), which has constructed 43 roundabouts and has 26 in design, uses roundabouts to address safety issues, improve traffic flow, and facilitate pedestrian mobility. PennDOT data show that crashes, injuries, and fatalities decreased at 11 roundabouts after they were installed at intersections that were previously stop or signal controlled. A review of data collected for 3 years before and after roundabout installation found that fatalities decreased from two to zero, serious injuries dropped from seven to zero, and minor injuries decreased from 19 to one. PennDOT produced a video to educate drivers on how to navigate a roundabout. Visit booth #923 at the Transportation Research Board Annual Meeting—January 13 to 17 in Washington, DC—to learn about the 10 innovations in Every Day Counts (EDC) round five. Booth #825 will highlight how the Office of Innovative Program Delivery advances innovation in the transportation community. 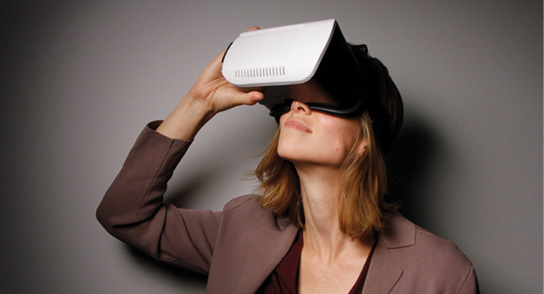 At “The Innovation Culture: Building New Bridges Between Research and Practice”—session #1171 at 10:15 a.m. on January 14—speakers will explore how agencies are transporting ingenuity into research and then into practice. Speakers will also discuss the Federal Highway Administration’s Accelerated Market Readiness program, which will span the territory between innovation development and market-ready delivery. See a list of EDC-related exhibits and sessions to plan your meeting schedule.